The Reverend Two-Tone Large Teardrop Premium Guitar Case is made by TKL and fits most larger-sized Reverend electric guitars. Buy online for fast delivery across the UK and Europe. 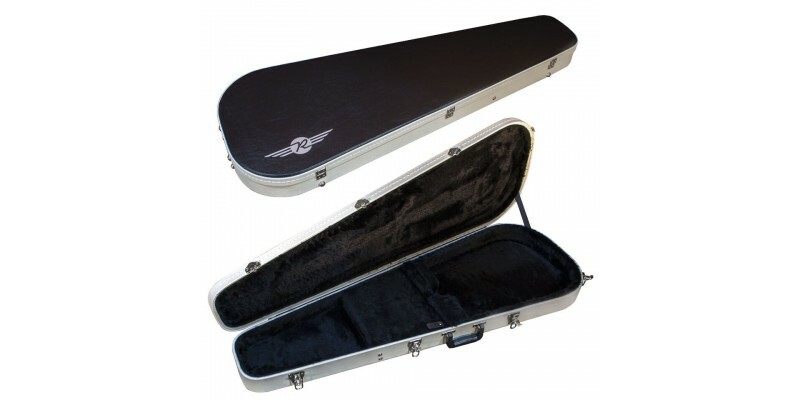 The Reverend TKL Premium Teardrop Guitar Case features a multi-ply, hand-laminated wood shell, Providence forge steel-plated hardware, and a comfort grip moulded handle. The interior is contoured, soft plush and generously padded, with a spacious accessory compartment, and traditional neck support system. A Black top and bottom with White sides has become synonymous with Reverends. This case has a retro vibe that adds flavour to the presentation of any Reverend Guitar.